Critic's Choice 2016: Chosen by Kenneth Keaton in American Record Guide as one of his Top 8 discs of 2016. 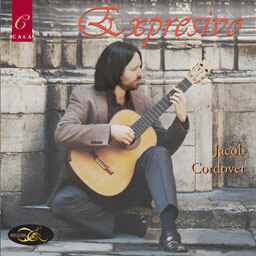 Following his previous Cala album Blackwattle Caprices, Jacob Cordover presents a new disc featuring some of the most well-known and best loved guitar repertoire, particularly featuring the great composers of the Spanish guitar and their Latin American counterparts. He also includes some arrangements of modern popular songs. Click here to visit Jacob's website. Click here for a PDF of full reviews.